Democratic Rep. Luis Gutierrez sure doesn’t like the idea of a border wall. 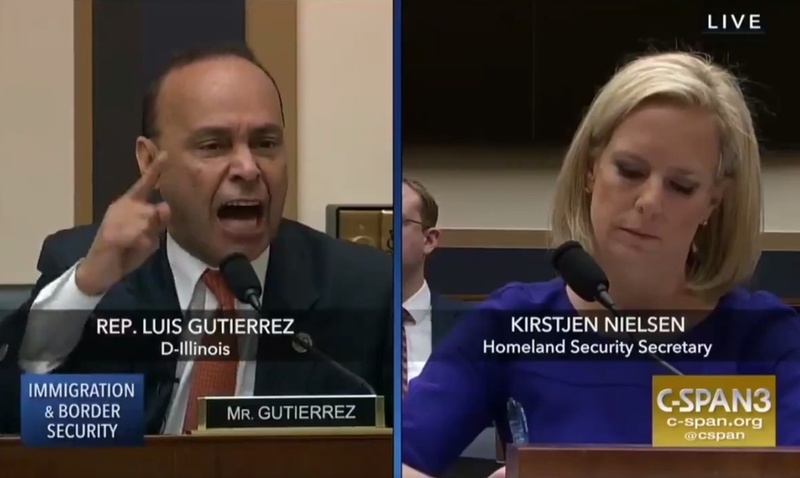 The Illinois lawmaker in one blustery rant during a Thursday congressional hearing mocked Christians, likened President Donald Trump to King Herod of the New Testament — who massacred infants and toddlers in the hopes of killing Christ after his birth — and then called Homeland Security Secretary Kirstjen Nielsen a liar to her face. 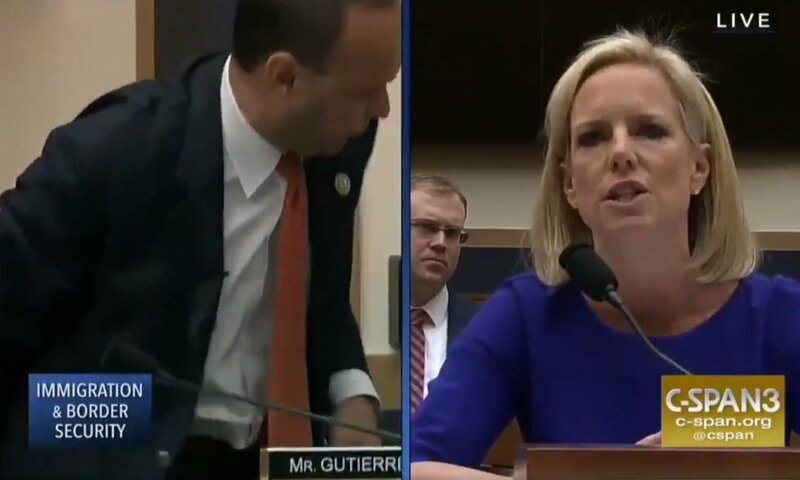 Making angry faces and wagging his finger as his voice grew sharper, Gutierrez added, “Thank God there wasn’t an administration like this or he would have too … perished when Herod ordered the murder of every child under two years of age. Maybe I haven’t gone a lot to Bible school, but I know that part.” He pounded his finger a few times for good measure. But Nielsen wasn’t having any of it. And as the secretary continued, Gutierrez rose from his chair and walked out the hearing.